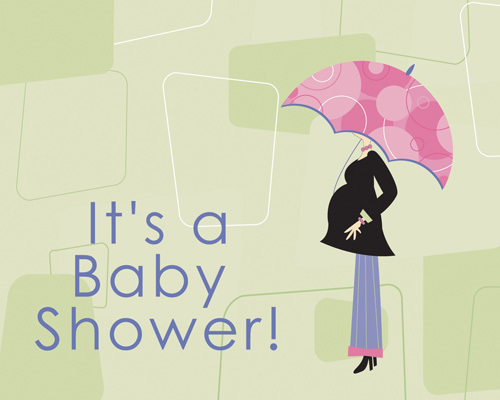 Baby Shower Event Starts Today! When I thought about my family life years before I had children I never really thought about how great it would actually be. I know there are rough time, believe me we have those almost daily, but it is also so great. The idea of growing our little family excites me (I guess 2 going on 3 children is not so little anymore). I come from a large family so the more the merrier I say :) I love the fact that I have two sons who love and adore my husband and I as well as each other. I know that as they grow up they will fight and be best friends at the same time. I know that with each passing year their little personalities are blossoming into what kind of adult they will be someday and what they will carry with them as they grow. There is just something so special about knowing you and your husband are the ones helping them discover who they are. As we have two boys and found out one was on the way I was a bit nervous that I would not have a little girl. I know, I know it is not the end of the world if you don't have a girl. But like most Mom's (not all) I wanted the Girl Scouts, the sleepovers, the Barbies, and the PINK!!! I wanted to know what it was like for my Mom as she raised girls and how strong the friendship between a Mother and her Daughter can be. When we found out that these two little boys of ours were going to be big brothers to a SISTER we were over the moon. JJ is into all things superheros and fighting, I am hoping this softens him up a bit. Even when we talk about his little sister it just seems to soften his heart. I love it. So as we prepare for the arrival of this sweet baby girl we are having a Baby Shower here on the Frugal Family Tree. There will be plenty of great things (blue and pink) to win as the month goes on! Please tune in and enjoy all things BABY!!!! Just a few pictures of the boys when they were first born.... Ahhhh can't wait! !